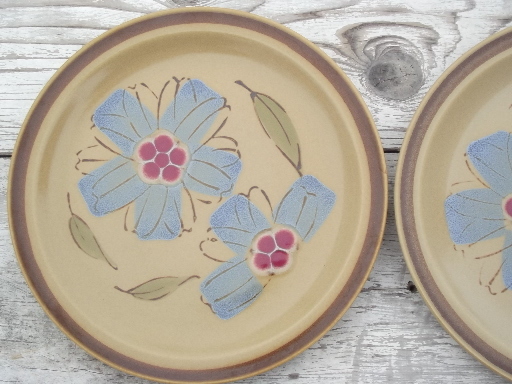 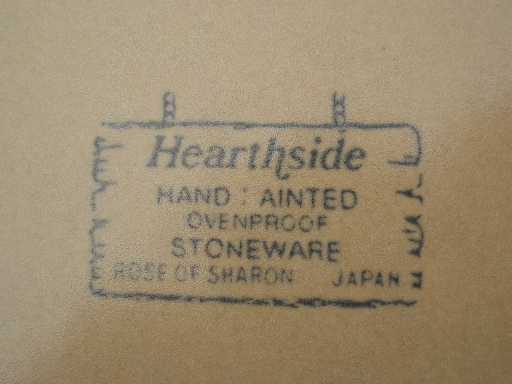 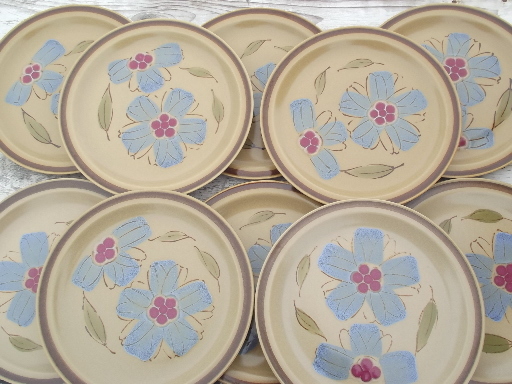 Retro 70s - 80s vintage stoneware pottery dinner plates in the Rose of Sharon pattern, Hearthside - Japan. 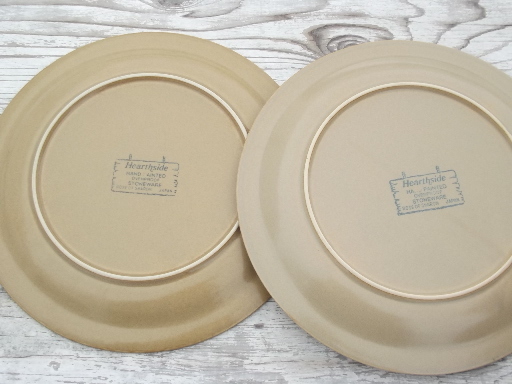 It&apos;s a set of ten 10 1/2" diameter plates, all in very nice condition without damage or wear. 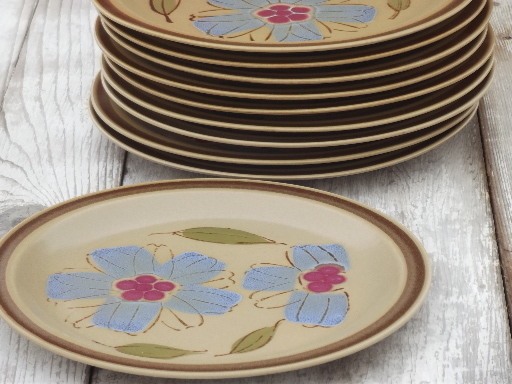 We love this flower power style pattern!